There are numerous chances that come and go in our lifecycle but we only remorse over the ones we did not take, so it is always recommended not to waste a golden time which life brings before you. Being a designer myself, many corporations when approach me for designing their logos and to do their complete branding, I only choose the projects that I have a confidence to work on. I like to do full justice to every project I partake because getting ones overburdened and then creating majestic piece of art is impossible. So it always better to do less but do it with great love and utmost interest that the end product finally reflects the beauty and finesse. Greed to do more and earn more will decrease the quality of work eventually. Pick up the occupation which suits your temperament, choose the field where you can positively work on, then you are sorted. Also one should try out the projects that polish one’s skills and then one day a moment comes when success come kissing one’s feet. 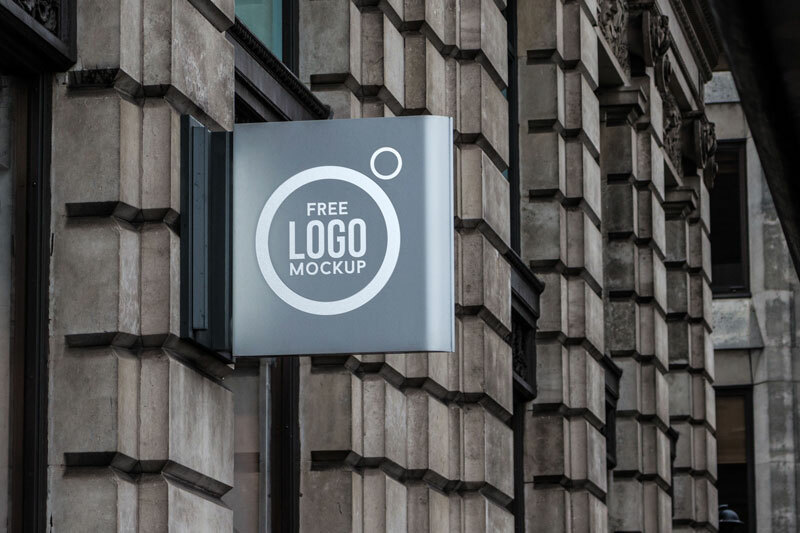 Down here I am presenting before you free outdoor advertising shop sign logo mockup, you can insert in your logo design and make a presentation out of it. I am sure it will make a good impact on your client and he will get the design approved. Through mockups we can make stunning presentations for the clients, because basically mockups give an idea that how the design and artwork will look in the real printable way. While making a shop’s logo design there are certain things that are to be kept in pivotal preferences. 1: what this shop/brand offers, 2: what is the meaning/stance of the shop, 3: what goodies/stuff it offers? Then making a logo of the shop becomes a lot easier this way. Make a logo that represent its associates, its deportment and perspective and then display it by putting it in the mockup before the concerned client. For more amazing design dose stay tuned to our blog here we go.